Once rockets are up, who cares where they come down? 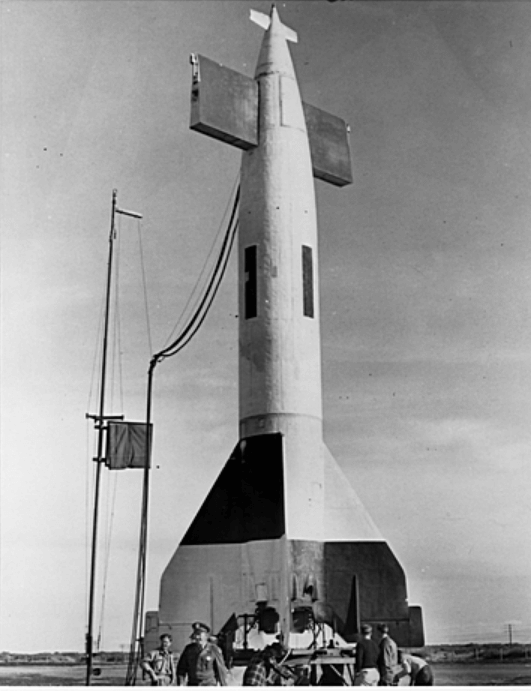 May 29, 1947 V-2 on the launch pad. Photos provided by Michael J. Nighan. Tom Lehrer bombs Von Braun. 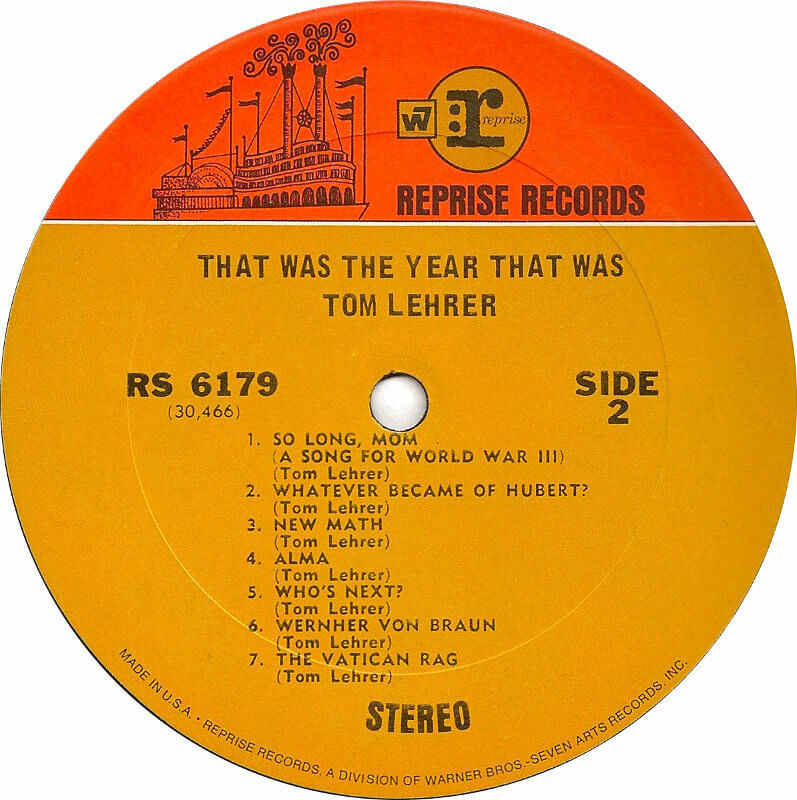 Back in the mid-1960s, my favorite musical artist wasn’t a rock star or a folk singer, it was Tom Lehrer, renowned Harvard political and social satirist, and math nerd extraordinaire. “Once rockets are up, who cares where they come down? I was reminded of this song the other day when I ran across a political commentary lampooning Donald Trump’s proposal to spend tens of billions of dollars on his “big, beautiful wall” to separate the US and Mexico and suggesting that he should be looking at a cheaper and more mobile means to target those hordes of rapists, drug dealers and assorted criminals that he sees pouring across the border. One suggestion was a reuse of the technology brought to the US by Von Braun and his cronies over 70 years ago. With the defeat of Nazis in 1945, both the United States and the Soviet Union gained access to a large number of V-2 rockets as well as the scientists and technicians who had developed the weapon. 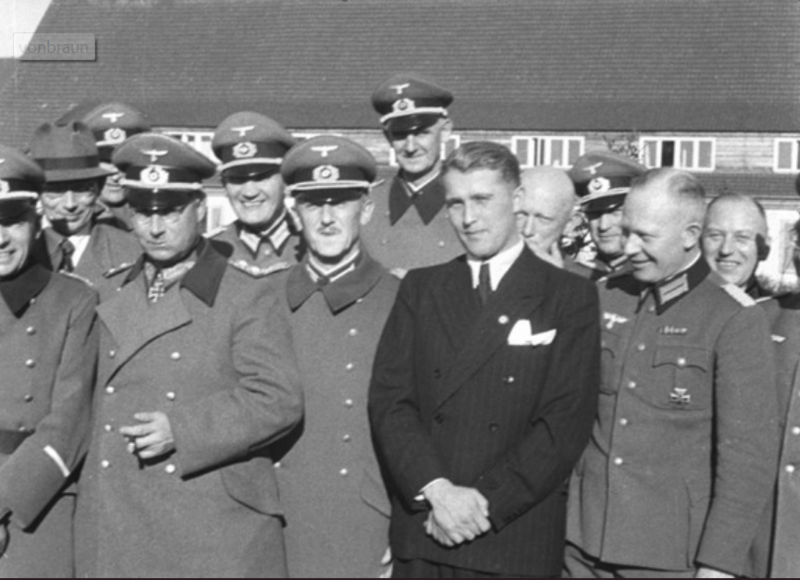 Under Operation Paperclip, over 120 rocketry engineering and scientific personnel were quietly smuggled out of Germany by the US Army and sent to continue their work at the White Sands Proving Grounds in southern New Mexico. Of the numerous V-2s launched from there over the next few years, the one fired on the evening of May 29, 1947 should be of special interest to those who, like Trump, advocate a chest-beating defense of our southern border. 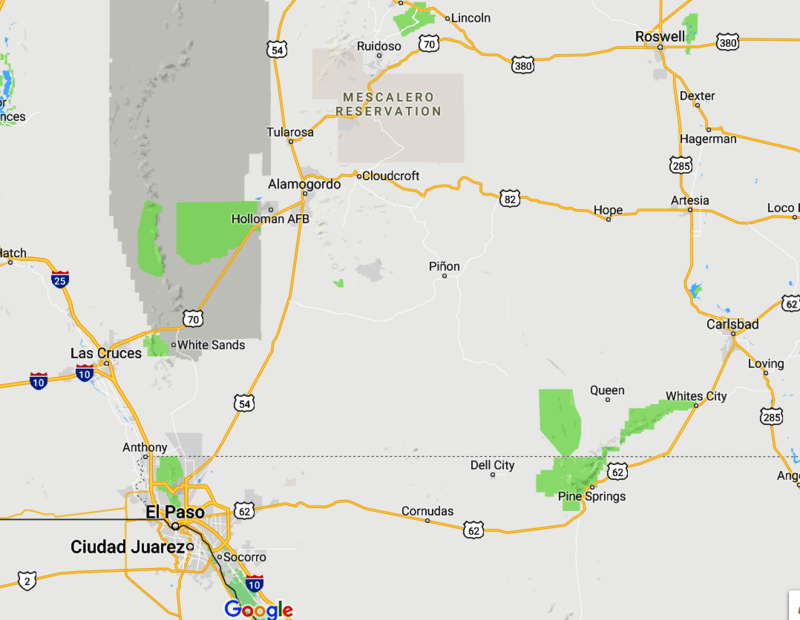 Programmed to travel due north and impact somewhere within the thousands of square miles of desert that make up the White Sands test range, the rocket made a beautiful ascent, and then turned SOUTH, aiming itself directly at El Paso, Texas! 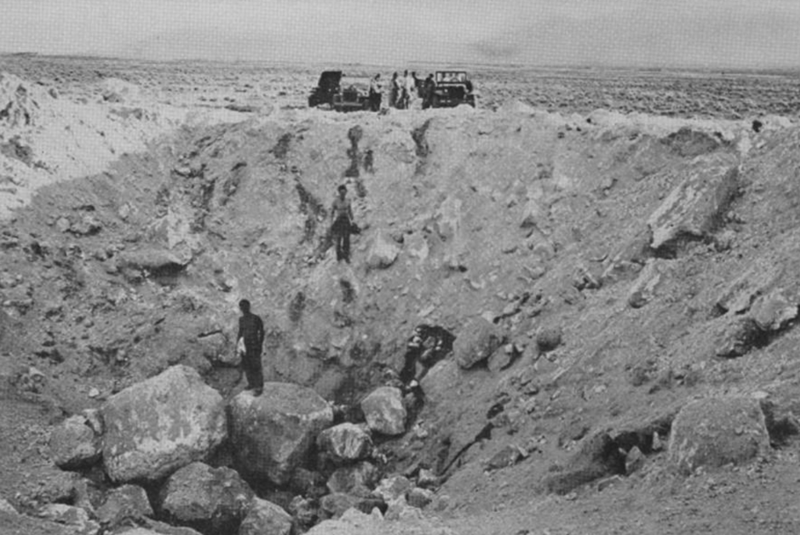 Descending from an altitude of 35 miles, the V-2 passed over El Paso, crossed the Rio Grande into Mexico, and impacted near a cemetery just south of Ciudad Juarez, blasting out a crater 50 feet wide and 24 feet deep, barely missing an oil storage facility and a construction company building crammed with enough explosives to have leveled several city blocks. Proving that rocket science is indeed rocket science, post-flight analysis revealed that one of the German technicians had crossed the wires in the inertial guidance system causing the V-2 to fly in the wrong direction. In addition, the scuttlebutt was that when the Range Safety Officer tried to push the self-destruct button, he was physically restrained from doing so by a civilian co-worker who later cold-bloodedly admitted that he thought it would be better for the rocket to endanger lives in Mexico than to possibly hit El Paso. A man after Trump’s heart! 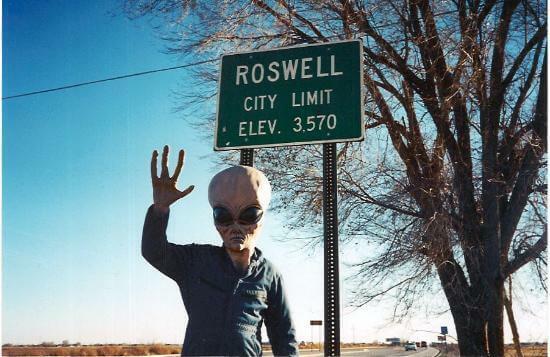 Oh, and as for illegal aliens, five weeks after the Juarez incident came the supposed crash of a UFO near Roswell, 150 miles east of White Sands.